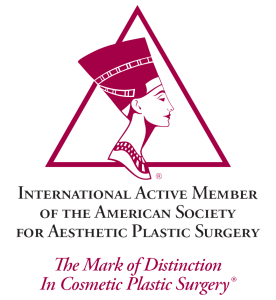 The annual report released by American Society for Aesthetic Plastic Surgery in March 2015, shows that there has been a steady growth in both surgical and non-surgical procedures since 2011 once the after effects of global recession started receding. The data representing 11 million cosmetic procedures conducted on men and women were performed by plastic surgeons, otolaryngologists and dermatologists within United States. Of the more than 12 billion spent on surgical procedures in 2014, around 7 billion was spent on surgical procedures like liposuction, breast augmentation, eyelid surgery and others, more than 5 billion was utilized for performing non surgical procedures. Plastic surgery procedures preferred by women that have witnessed year on year growth since 1997 are, Brazilian buttock augmentation that grew by 86 percent while labiaplasty grew by 49 percent. Men have also shown a growing interest in both cosmetic and non cosmetic surgeries which have increased by of 43 percent within last five years. While invasive cosmetic surgery to improve facial structure was more preferred by men like blepharoplasty which went up by 34 percent followed by facelift which went up by 44 percent they are also undergoing body shape improvement procedures like male breast reduction which went up in demand by 34 percent within last five years. Every year there is a tug of war for top spot between both these plastic surgery procedures as new and safer technology is making them less painful and medication is helping patients to recover soon in Las Vegas like elsewhere in America. In the records of 2014 liposuction that amounted to 342,494 procedures defeated breast augmentation that witnessed decrease of 8.5 percent with only 286,694 procedures. This decrease has been going on since 2013 when only 313,327 procedures were performed representing decrease of 5.2 percent since 2012. This growth in liposuction has been due to equal demand by men and women across the nation for this plastic surgery procedure as they have become more conscious about the size and shape of their body. While breast augmentation replaced liposuction in 2012 as the most popular procedure it was soon replaced by liposuction in 2013 and 2014. The demand for non-invasive surgical procedures like injections and skin improvement procedures like laser hair removal, microdermabrasion and chemical peels have remained steady in 2012 and have been growing steadily. With growth of modern surgical facilities available across Las Vegas, men and women are undergoing procedures like hair removal, microdermabrasion and chemical peels like regular beauty treatments. To collect this data about plastic surgeries carried out for aesthetic purposes, the association is working with an independent research firm which collects information from certified physicians to get a clear picture of changing trends in plastic surgery across the nation.